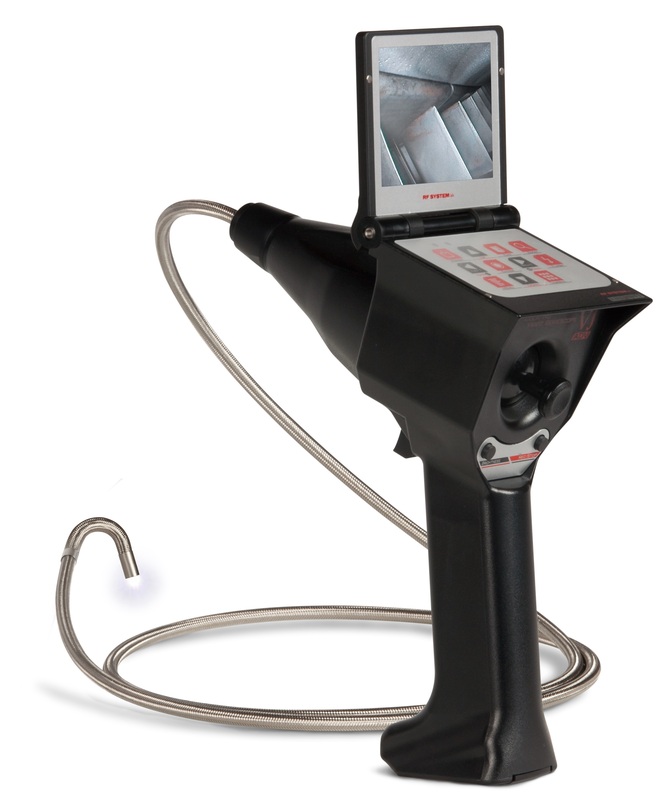 A Video Borescope (sometimes called a Videoscope) is similar to Fiberscopes and regular Borescopes in many ways. They all allow inspection technicians to view inside hard-to-reach places, can save time and money on repair procedures, and can be rigid or flexible. Without using fiber optic cables, Video Borescopes feed a video image from the Distal Tip back to the base of the unit by internal wiring. LCD screens are common display options. Superior image quality, image and video capture, and articulation are some of the reasons why inspection technicians prefer Video Borescopes over the rigid Fiberscopes that are used in less-complex inspections.